One of the most requested features. 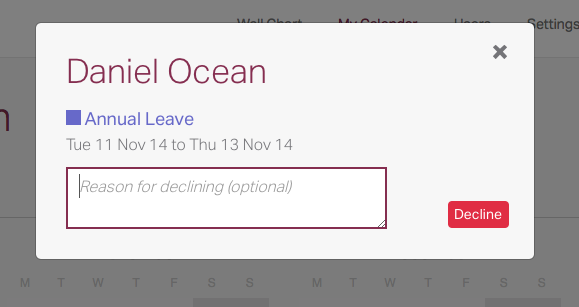 When you decline leave you can now add a reason, and that reason will be communicated to the employee in the email they receive. We hope this makes Timetastic a little more helpful for the day to day management of annual leave. Another popular request. 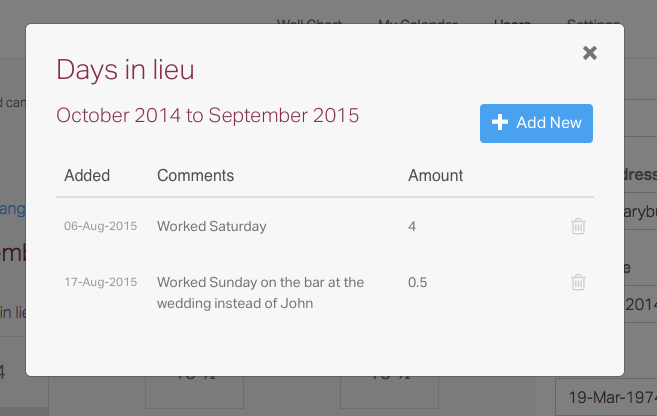 When you add Days in Lieu you can now add a short note and see the date it was added. This should make tracking Days in Lieu much easier. 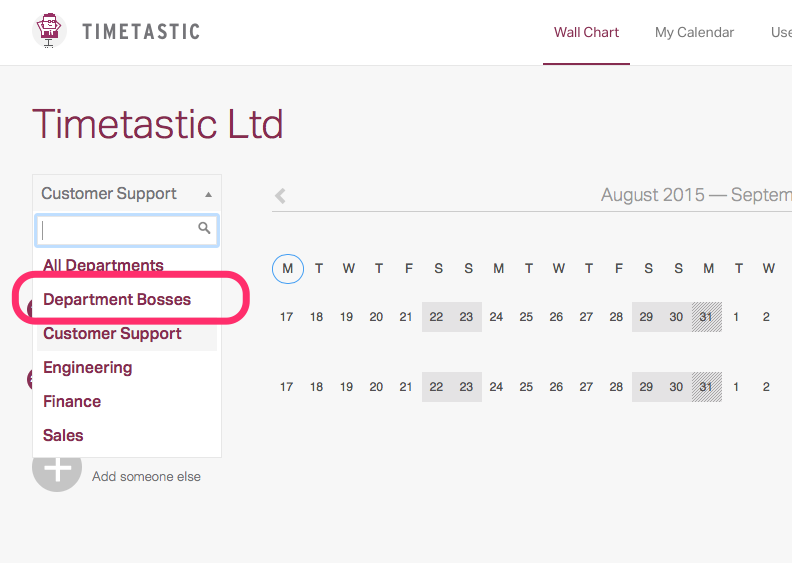 A smallish tweak that gives you an easy way to view and compare the leave for your Department Bosses, particularly useful for organisations who need to ensure they have a given number bosses in on any given day. I also thought it worth taking the time to remind you of the last update which expanded the Public Holidays function to include setting them by department and the option to import holidays for 16 new countries. Full details of that update are available here. As always if you have any questions then do email.